The Australia-Japan Dialogue brings together government representatives from both countries with academic and think tank experts from a variety of institutions in Australia, Japan, the ASEAN states, and the United States to better understand the nature and drivers of the relationship, and discuss issues of contemporary importance and relevance. 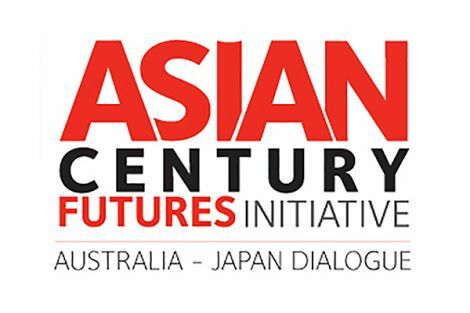 The Australia-Japan Dialogue is an annual 1.5 Track event first hosted by the Griffith Asia Institute in 2011. 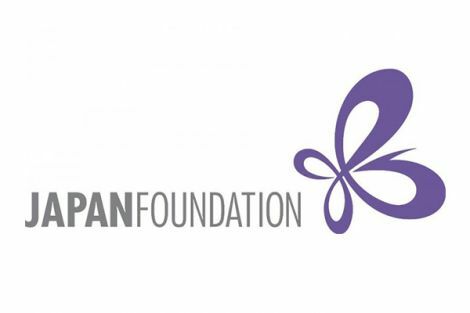 Since then the Dialogue has been convened each year with generous support from both the Japan Foundation and the Australia-Japan Foundation and with the participation of high-level representatives from the Japan Ministry of Foreign Affairs and the Australian Department of Foreign Affairs and Trade. To promote the bilateral Australia-Japan relationship. To promote discussion and debate on issues of common importance between Australia and Japan and for the wider region. To encourage and facilitate deeper understanding and engagement between Australian and Japanese society, institutions, and government. To develop and maintain an established network of Australian, Japanese, and other regional experts and scholars. To promote collaborative research and publication on the bi-lateral relationship and its significance in the broader region. The Past Dialogues have focused on the bilateral relationship’s common priorities, challenges and opportunities across a range of issue areas including, disaster management, security cooperation, and energy security. The Dialogues produce policy briefs that are distributed to government, think tanks, and other relevant institutions. Papers presented at the Dialogues have also been published as stand-alone journal articles, in journal special issues and edited volumes, and in leading media outlets. The Griffith Asia Institute’s strong cooperative relationship with Japan’s Ministry of Foreign Affairs and partnerships with other research institutions, such as the Japan Institute of International Affairs, has led to the creation of an annual Australia-Japan lecture series hosted in Brisbane, and a series of annual Trilateral Dialogues with India, with the generous support of the Japan Ministry of Foreign Affairs, which began in 2017. The Trilateral Dialogues also produce policy briefs, journal articles, and media posts. Heazle, M. and Halvorson, D. (eds), (2018) ‘The politics behind the story: Sixty years on from the 1957 Australia-Japan Commerce Agreement’, Workshop Paper Series No. 2. Heazle, M. and O'Neil, A. (eds), (2018) China's rise and Australia–Japan–US relations primacy and leadership in East Asia, Edward Elgar Publishing. Heazle, M. (2018) ‘The politics behind the story: Sixty years on from the 1957 Australia-Japan Commerce Agreement’, Regional Outlook Paper No. 59. Heazle, M. and Tatsumi, Y. (2017) Explaining Australia–Japan security cooperation and its prospects: ‘the interests that bind?’, The Pacific Review, pp. 1-19. Heazle, M. and O'Neil, A. (2017) ‘US leadership in the Asia Pacific: Trends and policy implications for the Australia-Japan relationship’, Regional Outlook Paper No. 51. Hall, I. and Heazle, M. (2017) ‘The rules-based order in the Indo-Pacific: Opportunities and challenges for Australia, India and Japan policy brief’, Regional Outlook Paper No. 50. Heazle, M. and O'Neil, A. (eds), (2016), Policy convergence and divergence in Australia and Japan: Assessing identity shift within the bi-lateral relationship, Griffith Asia Institute, Australia-Japan Annual Dialogue Series, No. 1. Griffith Asia Institute Q&A Public Panel Event, “Australia-Japan security relations in a changing region”, Queensland State Library, February 24, 2016. broadcast on ABC Radio National’s “Big Ideas” series, March 15, 2016. Kersten, R. (2015) Contextualising Australia–Japan security cooperation: the normative framing of Japanese security policy, Australian Journal of International Affairs, 70(1), pp. 6-23. Satake, T. (2015) The Japan-Australia contribution to a liberal and inclusive regional order: beyond the ‘China gap’, Australian Journal of International Affairs, 70(1), pp. 24-36. Schreer, B. (2015) Australia's ‘special strategic relationship’ with Japan: another ‘China choice’? Australian Journal of International Affairs, 70(1), pp. 37-49. The Australia-Japan Dialogue, (2014) ‘‘The Australia-Japan Dialogue – energy security: Challenges and opportunities”, Regional Outlook Paper No. 46.